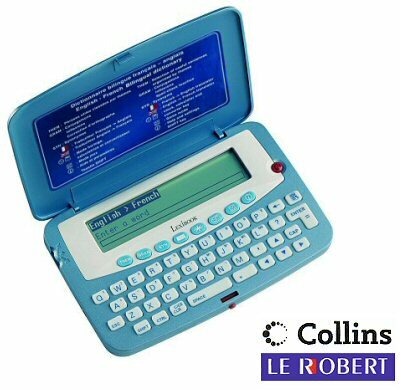 T200 Collins-Robert bilingual French English pocket electronic dictionary ... this is one of the best we have reviewed! We have tended to avoid handheld electronic dictionaries as many of those available on the market are simply not up to scratch, even though some of the tackier ones make huge claims about the number of words etc. The truth is that some products work a lot better than others, and the T200 from Lexibook is one of the more outstanding exceptions. The Lexibook T200 is a state-of-the-art pocket translator that uses high-quality dictionaries provided by two very reputable publishers: Collins, which everyone in the UK will know, and Le Robert, which everyone in France knows. Mixing two great dictionaries together is a great idea - the French available on this product is real French from a French publisher - you can't get more French than that! The main funtion of the T200 is to translate either from French into English, or from English into French, which, for individual words this product does very well indeed. Translation of sentences is even possible as the translator gives you definitions of each individual word in the sentence. Best of all about this translator is its simplicity (switch on and go), dictionary quality and very reasonable price. This advanced electronic dictionary will help you master a range of skills in French. An essential companion for learning and communicating in English and French. 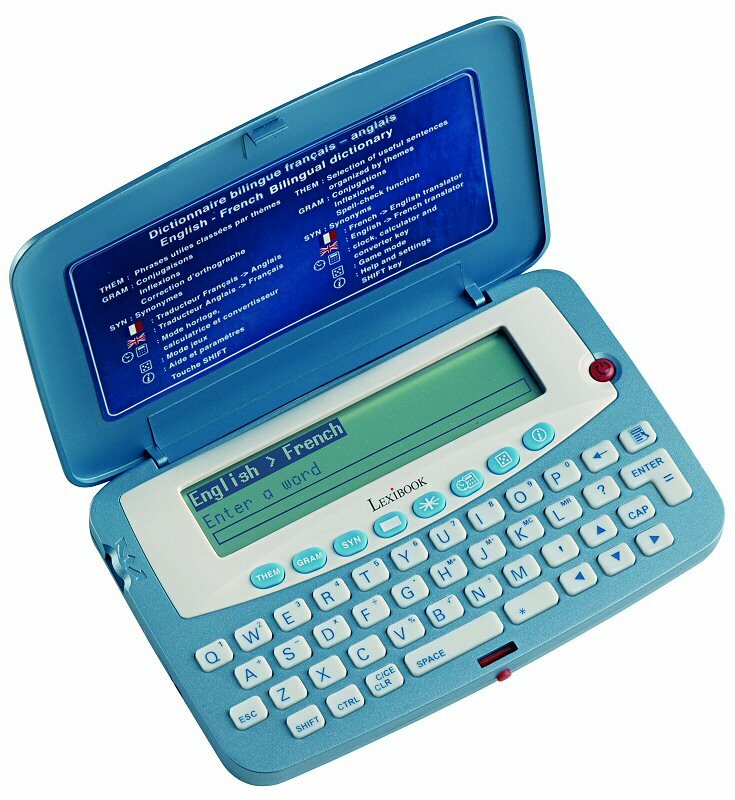 - Based on the Collins-Robert desktop dictionary Compact Plus. - 4-line easy-to-read LCD display. - More than 65 000 headwords: all the words you need to understand French and to express yourself effectively. - More than 180 000 translations: more than 90 000 translations per language. - Massive synonym database of over 250,000 words! - Unique grammar function and verb conjugations - Access to 150 phrases in both languages classified into 10 practical and useful categories such as Business, restaurant, hotel, city, travel, emergency, leisure, bank /mail/ telephone, airport and general. - 10 word games. - Useful functions: local/world clock, calculator, money and metric conversion. Battery 1 x CR 2032. HarperCollins is one of the top book publishing groups in the UK, publishing a wider range of books than any other publisher, and well-known for its high-quality foreign-language dictionaries, education and reference books. Le Robert publishes the famous "Dictionnaire alphabétique et analogique de la langue française" - a large dictionary, aswell as its popular one-volume version the Petit Robert. Le Robert also publishes a series of bilingual dictionaries in collaboration with HarperCollins, the electronic version of which is programmed into the T200 Translator shown on this page.